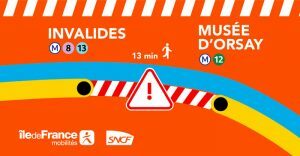 From 9 December 2018, no line C trains will run between Invalides and Musée d’Orsay at weekends and on bank holidays. Trains from the north and west will terminate at Invalides. Trains from the south will terminate at Musée d’Orsay (except trains arriving from Dourdan and Saint-Martin d’Etampes, which will terminate at Paris Austerlitz). Why is this weekend and bank holiday disruption taking place? 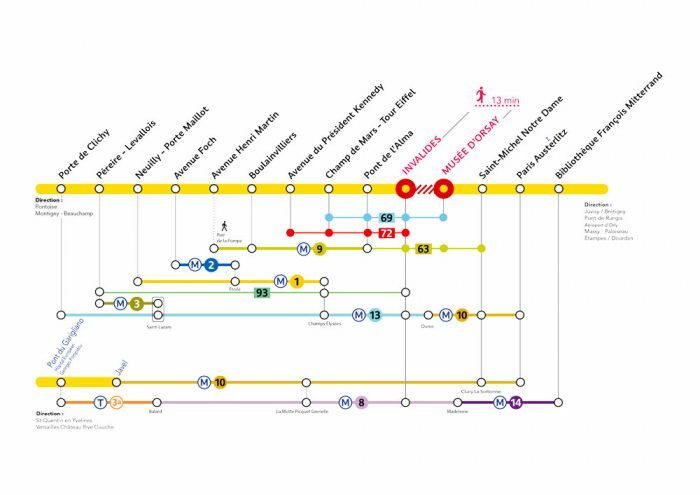 In 2019, SNCF Réseau will invest €330 million in maintaining and developing line C.
These major projects will have an impact on services for 50 weeks and 40 weekends. Clarify the services that will operate during weekend works. Improve the reliability of the line to ensure more trains run on time. Limit the negative repercussions of work taking place from one branch to the other. 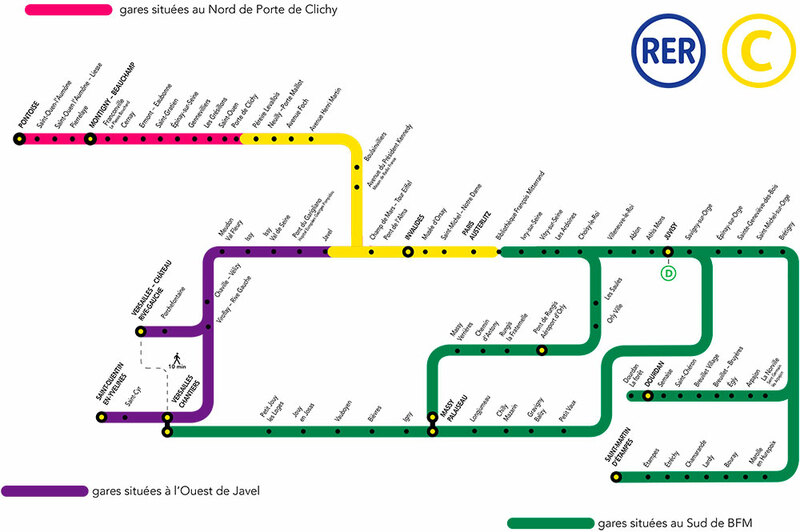 > See all the latest RER C works information by clicking here (in french).